They take pride in the fact that a two-year-old customer insisted that his mother make him wear a pyjama set from Almirah before he agreed to go to bed. 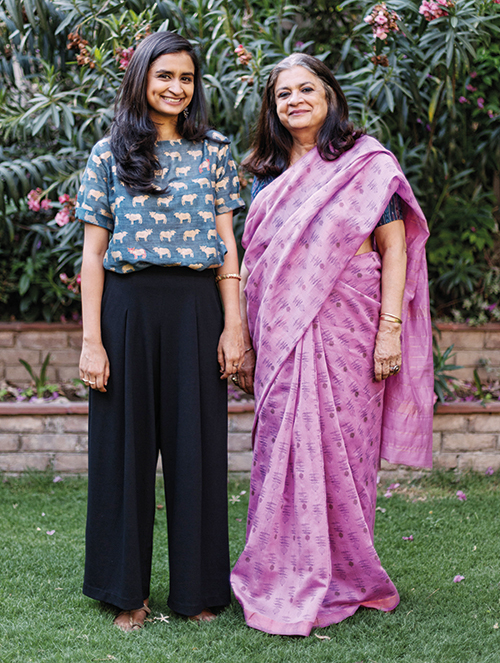 Divya Bajpai and her daughter Aditi set up their kids’ clothing and accessories label in New Delhi six years ago — later setting up shop in Mumbai and Bengaluru as well — and haven’t looked back since. 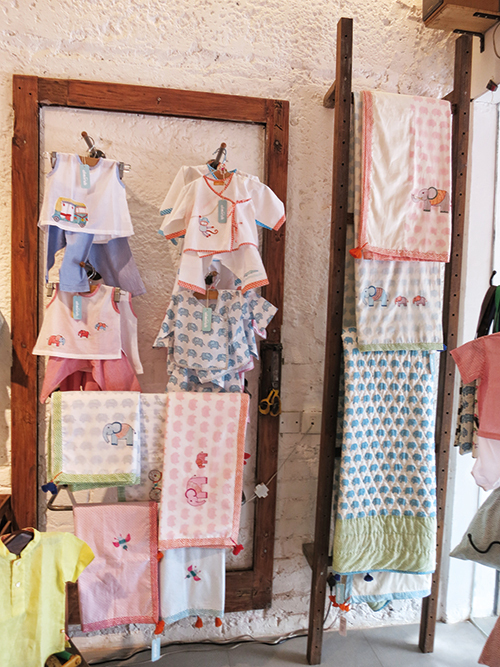 “Being able to experiment with no worries about too many frills and tight fits” is the best thing about creating garments for children, they say, and hope to continue making a name for themselves as a lifestyle brand ‘with an Indian edge’. Divya Bajpai (DB): I’ve always wanted to build a brand that Indians could adore and be a part of. We began this journey in 2011, opening our flagship store in Meherchand Market, New Delhi. Through Almirah, I wanted to encourage the arts that were going missing in a mass-produced market. As luck would have it, I found a partner in my own house — my daughter, who shared my passion. Aditi Bajpai (AB): When I decided to take a year off after my master’s in political science, I experimented with design, started Almirah and went on to study at Parsons in New York. The brand grew to be a story we wanted to tell, of how traditional Indian design can be made contemporary and relevant, all at the same time. DB: I think we are lucky to live in a country where every gali and chauraha inspires you: from the paanwallah’s decor to the akash taras lit up on Diwali and the rangolis on the floor to the painted thelas and cows on the streets of Delhi. Inspiration is everywhere, just keep your eyes open! AB: On every road trip we would take, we always made a pit stop at the local haats and homes of artisans. We are sitting on so much skill and history, but a whole generation of craftspeople is abandoning its skills in the face of industrialisation and lack of opportunities, and shifting their aspirations. 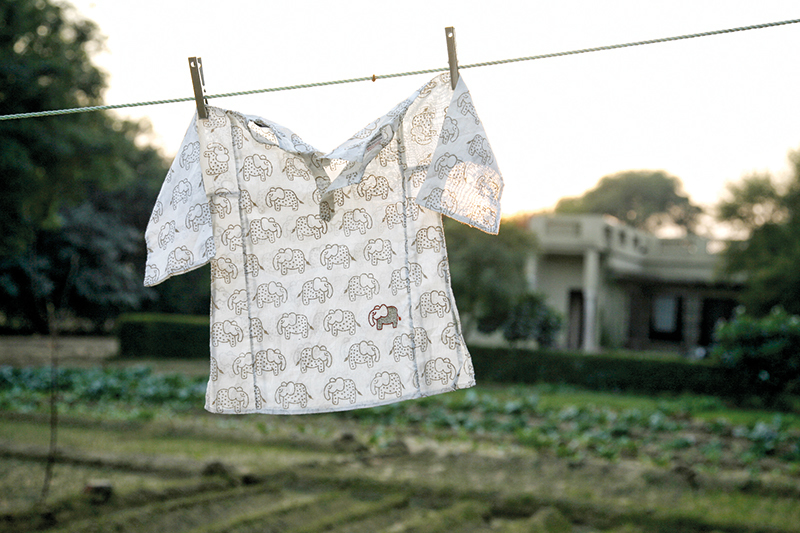 I want to continue creating products with them to bring back slow fashion, simple design and sustainability. AB: It’s fun to work with someone who can make beautiful things from leftover fabric that others would have thrown away. I am lucky to have my mother as my business partner and mentor. She has instilled in me an eye for detail and a love for handicrafts and recycling. DB: When you pick up any item from our store, it’s actually a product of both our efforts, because good design cannot exist without the comfort, softness and detailing of the garment. DB: Modern machinery, accessories, trims and of course technology have opened up the world today. This has made things very competitive, which makes us work harder. I wish I was a little more tech-savvy, and could play around with some of my ideas on the computer. I take so many decisions with my vendors through WhatsApp. DB: When we founded Almirah, we chose to begin with children’s wear — a niche we felt was untapped and getting subsumed by mass-produced items lacking an Indian touch. It was a risk, but focussing your products in one direction really helps to plan a more agile business. AB: Whatever be your product — niche or mass — never compromise on quality. It’s been over five years since we started this journey, and to have a growing base of loyal customers is a great feeling. DB: My sense of design was inherited from my mother, who used to paint canvases, have her own Chanderi saris woven and even invite local artisans to work with her. I designed my own clothes in my teens, and by 23 I started my own business, selling to Taj Khazana at Taj hotels and Contemporary Arts and Crafts in Mumbai as early as 1980. AB: My approach involves simplicity and adding a tadka of colour, shape and trims, and finally putting your stamp on it. AB: We see Almirah as a lifestyle brand for those who follow the philosophy behind a slow life — that is simple and home-made — with an Indian edge. We want to go international and take our collaborations between designers and craftsmen to non-textile-related sectors as well. We’ll continue expanding to other cities in India and reiterating a fashion philosophy that strikes the right balance between mass-produced and handmade clothing.